The ever-expanding market of multi-driver in-ear headphones from China is heavily crowded, but this didn’t shy Yinyoo away from entering it with bold attitude. 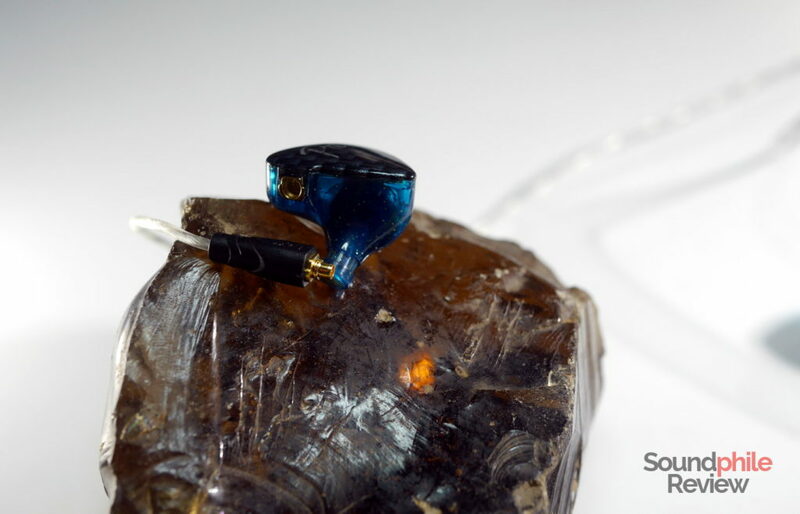 The company launched a few products in the last few months, among which stands the Yinyoo Pro – a hybrid in-ear IEM with one dynamic driver and two balanced armatures. Although the Yinyoo IN-8 I previously tried did not convince me at all, the Yinyoo Pro’s sound is less bloated and leaves room for better enjoyment. It is tuned for the average consumer – bold lows and emphasised highs make for an entertaining sound signature, though it is not devoid of flaws. Disclaimer: the unit is a free sample that AK Audio provided for the purpose of this review. Additional information on the product is available in AK Audio’s AliExpress store. Using the code “SoundphileReview” during checkout, you can get 10% off. Note: this review was updated on June 10, 2018 and I lowered the rating to 5.5/10. I did not listen to these for a while, so my brain removed the fact that I got used to their sound. When I tried them again and compared them to other IEMs I realised how bad these sound, so I decided to lower their rating further and below the passing mark of 6/10. 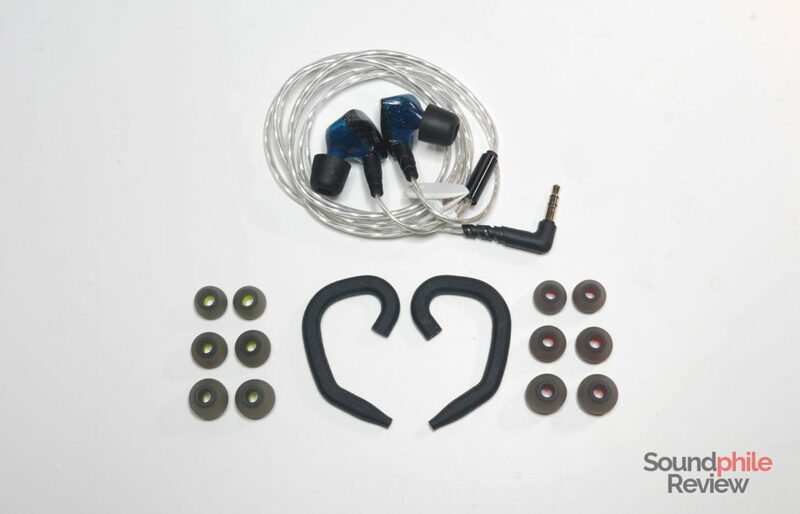 The Yinyoo Pro comes with good amount of accessories: there are twelve different eartips, among which two are made of foam, a cable clip and two silicone ear hooks. Have a look at the corresponding Headphones in Pictures article for additional info! Considering the average accessory set included with earphones in this price range, the Yinyoo Pro are comparable to higher-tiered products and offer great value for the price. The cable included in my set is a silver-plated one, but there is also a copper one with a remote and a microphone targeted towards smartphone users. 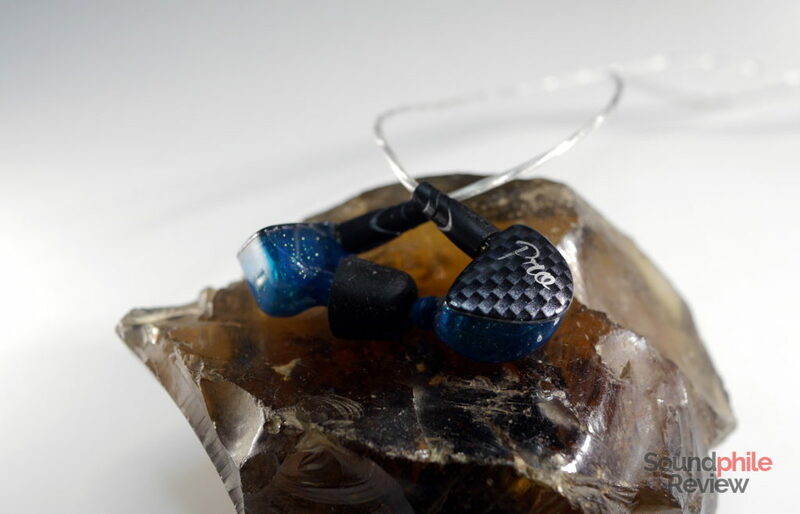 The Yinyoo Pro are seemingly rather standard in their design – no fancy full-body transparency as on the TRN V10 or metal as on the RHA CL1 Ceramic. 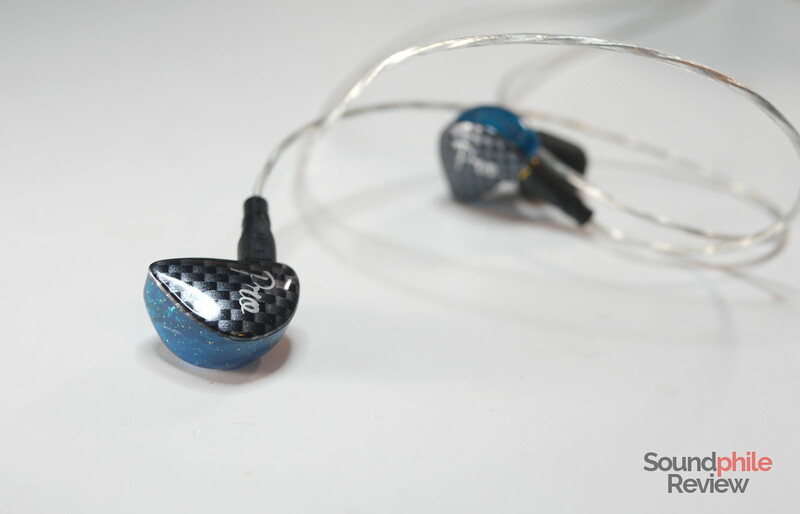 Housings are made of two pieces of plastic: the one that faces the ear is semi-transparent and comes in either cerulean or violet (with glitters…), while the other side has a fake carbon fiber effect with the “Pro” name printed in silver. Considering the price, the Yinyoo Pro have excellent build quality: they are fairly solid and materials appear resistant and durable. Though made of plastic, they do not scream “cheap” or “flimsy”. The looks are definitely in line with their budget nature, but that can be fine – that’s up to your personal taste. The cable is detachable and uses MMCX connectors (alas). It is relatively soft, though it is a bit springy when coiled; it is plated in silver and uses transparent plastic for the sleeve. There is a bit of microphonics, but it is limited; using the clip provided in the box can completely remove it. The Yinyoo Pro can block out a good chunk of the background noise, but cannot provide complete isolation. I could use them both on public transport (subway, bus) and aeroplane, but I had to raise the volume at a level that I would find completely uncomfortable to hear everything correctly. You have to put up with hearing something of what’s around you as there is no complete isolation available here. Comfort is a completely subjective matter but, once this is set, I have to say the Yinyoo Pro are very comfortable to me. Their shape makes them fit perfectly in my ears and allows for prolonged listening sessions; they start to become slightly annoying after a couple hours, which I deem a good result. The flexible cable also does not press against the pinnae and contributes to maintaining a good level of comfort. The ear hooks are a welcome addition to the package, but an almost useless one. I found it extremely difficult to use them, as the cable keeps on popping out and is especially difficult to keep inside when putting the earphones on. Again, this is purely subjective and I think including it is a good idea, but it could be better executed. Three different types of eartips come with the Yinyoo Pro: silicone with green boring, silicone with red/orange boring and foam. The latter is soft memory foam that is comfortable and practical; it is different from the Comply tips (see my best eartips article), but it offers similar isolation properties and comfort. The green silicone tips are harder than the red ones, so they offer slightly less isolation, at least in my case. I used a variety of sources to test the Yinyoo Pro: a Topping DX7, a Head ‘n’ Hifi Objective2 fed by a Topping D30, a Topping NX4 DSD, a Cayin N5ii, an Aune M1s and a Honor 9 smartphone. A 100-hour break-in process was applied. I used a mix of FLAC and MP3 (320 kbps) files. The low impedance and high sensitivity of the Yinyoo Pro make them ideal to use with smartphones and other portable devices, as well as computers. There is no need for a dedicated amplifier, at least when it comes to power. On the contrary, even portable amplifiers I tried were too powerful and I had to use an attenuator like the iFi Ear Buddy to get the right volume. The Yinyoo Pro’s sound signature is unmistakably V-shaped, with powerful (and a bit bloated, truth be told) lows and elevated highs. Their soundstage is really intimate and makes you hear everything as from inside of your head; instrument separation only allows for basic distinction of instruments, but can’t keep up with complex tracks (where instruments mix). As a consequence of the previous two, imaging is limited and cannot correctly position instruments across the stage, leaving most of them in the centre or at the extreme left/right. The better part of the lows is made of mid-lows, which have their peak around 180 Hz; this contributes to the Yinyoo Pro having that “bloated” sound that is so common in consumer-grade headphones. But while mid-bass certainly has the lion’s share, it is accompanied frequencies that reach to 40 Hz that give the sound depth and impact. Below that point the drivers give up, so these are not ideal for that low-end slam bassheads look for. Midbass also tends to overtake the lower mids and steals their spotlight, though it never becomes hard to hear them. 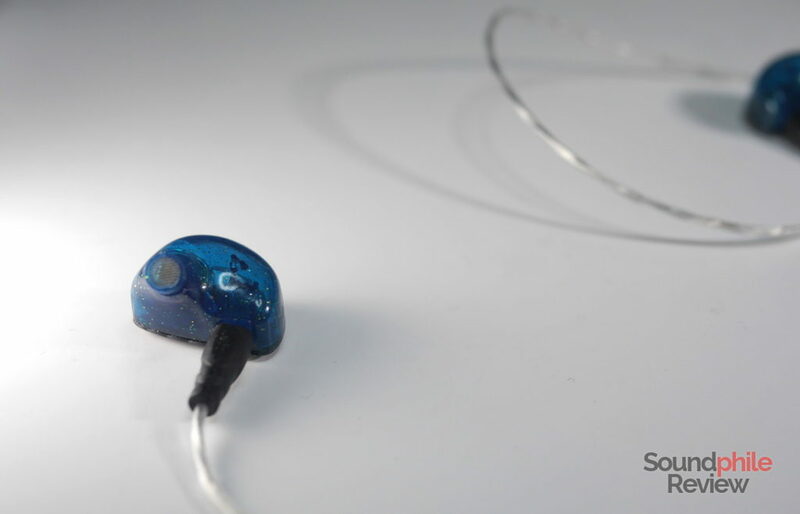 In terms of detail and speed, I deem them appropriate for the price range – they’re average and enough for non-critical listening, offering some fun but not real accuracy. Mids are relatively flat and neutral-sounding, but they’re also a bit flat in the sense that they appear a bit dull. That’s a missed opportunity, as the music ends up not having that spark of life nor airiness that would make it engaging and attractive – despite the V-shaped signature usually being more targeted towards fun and engagement. As things stand, they’re just above the passing mark. Detail is just sufficient, in that the headphones don’t display all the little details in music and only portray what’s more apparent. This is not to say it’s inherently bad – it gives you a clear enough picture to guide you through tracks with vocal or acoustic instruments prevalence. Equalising mids a bit and raising the volume by a couple dB around the 1-3 kHz mark leads to more engagement and liveliness. The Achilles’ heel of the Yinyoo Pro is the higher part of the spectrum. The highs are clearly elevated, as they often rise above the mids and lows; as I mentioned previously, this does not lead to airiness and openness. Treble sounds artificial and not too detailed, being a bit aggressive in its presentation but also sounding like a “carpet” of sound – I can’t really hear all the details and everything seems smoothed out and evened out. It’s peaky and it seems like everything is shifted to a higher frequency, but at the same time it’s like there was no real definition, as if it was all the same. It has no character. All in all, this behaviour is not surprising in a cheap IEM and the Yinyoo Pro is still decent at its price – though my description seems to paint a dark picture, I used the headphones for about a month and found them good for casual listening once treble was tamed. There are better options out there for sure, but if you are just looking for some entertainment, these may do. Any genre or track with an emphasis on treble is not recommended with the Yinyoo Pro – be it electronic music, jazz or classical, they end up being hard on your ears. KZ ZSR: the ZSR’s treble has an aggressive nature that makes one’s head ache after a while. That’s different from treble on the Yinyoo Pro, though, as the spike is in the lower part of the treble. Detail is better throughout the whole spectrum, though, and there seems to be more balance in general (though bass is more powerful and reaches slightly deeper). Soundstage is definitely wider and imaging is better. All in all, they seem to be a better option from a technical point of view. KZ ZS6: the ZS6 are in another league in terms of technical ability – soundstage is larger and deeper, instrument separation is vastly superior, imaging is far more precise. When it comes to frequency response, the Yinyoo Pro’s bass is more accurate (mind you, we’re talking about quantity only! ), while treble on the ZS6 is prominent but more manageable than the Pro. Detail and speed are worse on the Yinyoo Pro. The general picture is largely in favour of the ZS6, though of course their different frequency response may cater to different audiences. Yinyoo IN-8: the IN-8 is similar to the Pro in many respects: soundstage width and depth, instrument separation and imaging are largely comparable. There are large differences in their respective sound signatures, with the IN-8 having more emphasis on bass and easier treble. RHA MA-650a: the MA650a tend to be on the bright side, but they are easy to listen to and present no spikes or harshness. The sound appears as more organic and balanced, and it is in general better suited for a wider range of genres. The budget market is ever expanding and it is most varied – there are gems of undisputable value, pieces of utter garbage and everything in-between. The Yinyoo Pro sits in the middle, having both light and dark sides. Among the good features I find worth mentioning, the detachable cable, decent build quality and comfort (though subjective) are certainly on top of the list. On the other side, sound quality is just acceptable – it is not bad, but there are several flaws and the headphones do not sound as good as competing headphones in the same price bracket. The Yinyoo Pro is fine – it is a decent product for the price, but that’s it. It’s not going to blow you away. That means the Yinyoo Pro can be perfectly good for casual listening and for use with phones while on the move, but nothing more. That’s especially true if one chooses the cable that has a remote, as one can also use the headphones to talk on the phone. The Yinyoo Pro are good if you want a cheap, replaceable IEM to use on your commute or in those situation where you want some music but you don’t really pay attention to it. It is not a product for audiophiles, that’s for sure. The Yinyoo Pro retails for $24.